Frank W. Brennan is a partner, concentrating in the areas of construction law, commercial litigation, and labor and employment law. Mr. Brennan represents clients in all segments of the construction industry, including contractors, construction managers, owners, developers, suppliers and equipment rental companies (on both public and private projects) relating to claims of non-payment, extra work, delay, changed conditions, defective work, default, termination, mechanic’s liens, and performance and payment bonds. 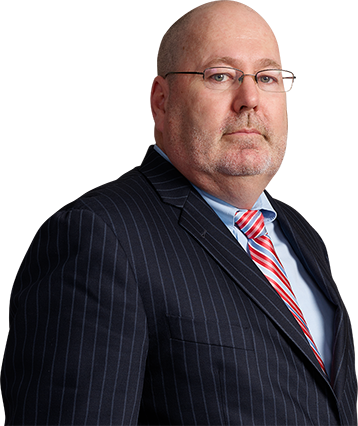 Mr. Brennan also provides representation in connection with negotiation, drafting, and implementation of collective bargaining agreements (CBA) and project labor agreements (PLA). Mr. Brennan has extensive experience representing employers in the areas of labor and employment law and has successfully defended corporate employers, non-profit entities, and construction contractors in claims before Federal and State Courts and Federal, State, and local administrative agencies—including the Equal Employment Opportunity Commission, National Labor Relations Board, United States Department of Labor, United States Occupational Safety & Health Administration (OSHA), New York State Department of Labor (DOL), New York State Division of Human Rights (NYSDHR), Nassau County Commission on Human Rights (NCCHR), New York State Workers’ Compensation Board (WCB), New York State Office of the Medicaid Inspector General (OMIG), New York City Environmental Control Board (ECB), New York City School Construction Authority (SCA), New York City Department of Parks and Recreation Labor Law Investigations Unit (LLIU), and private mediation and arbitration panels relating to claims of wrongful discharge, discrimination, harassment, workplace injury, whistle blower, wage and hour claims, representational elections, unfair labor practice charges, OSHA inspections and violations, New York City Vendor application investigations, public bid investigations, Health Insurance Portability and Accountability Act (HIPAA) unauthorized disclosure investigations, Employee Retirement Income Security Act (ERISA) claims, and Federal, State, and New York City prevailing wage investigations. Mr. Brennan also provides advice and counsel to employers on matters involving employment discrimination and harassment investigations, employee leave, independent contractor classification practices, employee compensation practices, Form I-9 compliance, background checks, employment contracts, non-compete/non-solicitation agreements, confidentiality agreements, consulting agreements, employment policies, and employee handbooks.